As marketers, we know consumers absolutely love content. After all, new content keeps customers engaged and coming back for more. The trouble is, creating new content at a consistent clip can be hard. Really hard, in fact. Even the most creative and innovative folks run into some type of block at work occasionally, and this is where old content comes in. Old content, you ask? Yes, old content. Just because you wrote a blog post three, four, or even seven months ago, doesn’t mean that content isn’t still relevant to your brand. Let’s go over a few reasons why using existing content can be beneficial to your overall marketing strategy. Most industries today aren’t appealing to just one kind of consumer. Even if your base consumers are male, it doesn’t mean that those men are all the same. When marketing calls for personalization to cast the widest net, it’s impossible to craft content and material that appeals to every single one of your regular consumers. Take a look at past campaigns and analyze them for your current needs. If you find pieces that fit, use them again. This can help keep your creative team from having to construct something new from the ground up if they are tight on time. If your brand is particularly developed, branch outside of your team. If your creative team is looking for things that resonate with the consumer base, talk to members of the social media team or email marketing team. Repurposing content that was successful for them will likely work out quite lovely for your team as well. Also, by keeping communication channels open with the other teams, you can have a steady method of sharing and coordinating content for new projects and campaigns. This way, people can be kept on the same page as to what’s being created. Needs for old content can pop up at the most interesting times. Something happening in your industry that directly relates to content you created a while back? Share it on the appropriate channels and watch the conversation play out. 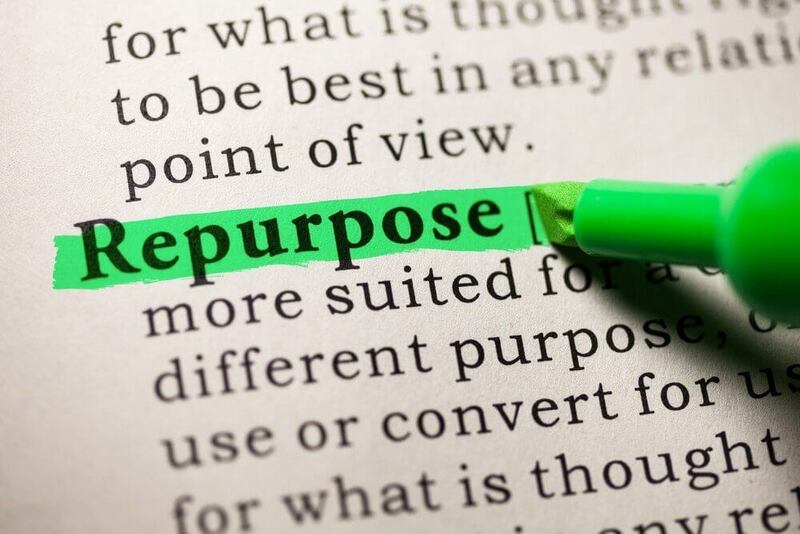 By seeing out consumers interact with re-used content allows you to experiment with methods on how to craft new variations of that same content. If the framework of something is successful, it would be a bad move to not see what else you can do with said framework. Relevant content doesn’t always have to mean new content. If your creative team is busy at work on a new project or has their efforts focused elsewhere, re-purposing old content can be incredibly useful. Not only that, but it can reveal tactics and methods that shape new content in surprisingly unique ways.